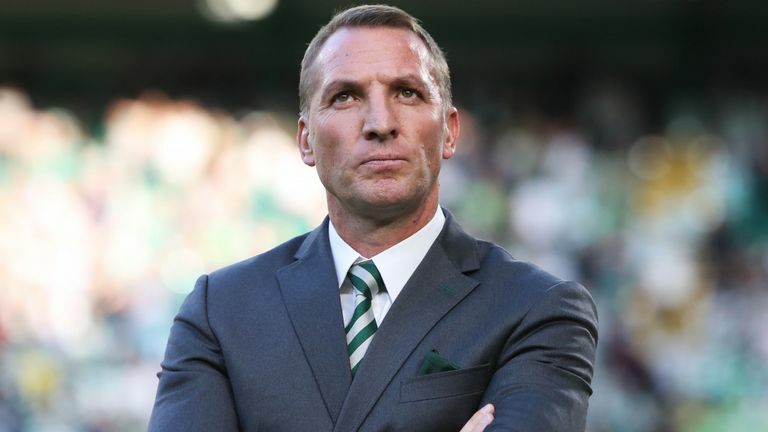 Since Brendan Rodgers came to Celtic, he has seen several Celtic players renew or extend their contracts at the club. His stature, as well as his man management, have all played a role in that. James Forrest, Tom Rogic, Callum McGregor, Kieran Tierney, Kristoffer Ajer, Leigh Griffiths, Olivier Ntcham and now Ryan Christie have all signed new deals since the Northern Irishman arrived in May 2016. You cannot argue with any of those players being rewarded for their application and effort in that time. Brendan and his back room staff have helped improve the team he inherited. The players have also had to put the hard work in though. What fans will be wondering is are any other players in line to get a new deal? I’ve mentioned many times before those who are out of contract at the end of this season and they are the bunch we turn our attention to. Ryan Christie is the first to chalk his name off that list. He is a superb example of just how things can turn around for you if you get an opportunity. Sections of our support wrote-off Christie a long time ago. Some (such as myself) never really thought he was given a good enough chance by Ronny Deila or Brendan Rodgers to hold that opinion. His loan spell at Aberdeen demonstrated just how much of an asset he could be. As a standout performer for the Dons and the Scottish Premiership last season perhaps the timing was just right for him this season. Circumstances, such as Stuart Armstrong’s departure and missing out on John McGinn have worked out well for him and Celtic. They already had such a player waiting in the wings. Many of us already thought he deserved a chance. In fact some may feel the same about Scott Allan though I cannot see the ex-Hibs midfielder experiencing the same luck. He has never kicked a competitive ball under Brendan Rodgers. Whilst out on loan, he has proven his worth to Dundee and latterly, Hibs, but he remained at Celtic. I firmly expected to see him sold in the summer transfer window. It has been suggested that the breakdown in negotiations between Hibs and Celtic over McGinn put paid to a move back to the club Celtic plucked him from. With his contract due to expire at the end of the season and no competitive first team appearances to his name, he will be gone next summer if not before. That still leaves a couple of other players to talk about. The one many have been talking about is Dedryck Boyata. His mid-summer drama now appears to be water under the bridge. Brendan himself stated that the player had admitted his mistake and was ready to move on. Since he reappeared in the Hoops his presence has been both influential and necessary. With all that negativity around a supposed summer exit, many are wondering will he stay or will he go? Under the cloud he created for himself after the World Cup, it would have been impossible to offer him a new deal then. I don’t think the board, manager or fans would have been receptive to that never mind the player. Now, we could be looking at a different scenario before the end of the season. The possibility of him now leaving in January would be unlikely unless both parties were offered a good deal. Even then he could be too much of an asset in the current campaign to cash in especially if Celtic are battling for a third treble and still in Europe after Christmas. I think many of us would agree that we would rather retain his services for the rest of the season and lose him for free next summer than cash in on him now for pennies. There is also still the remote possibility that he could be tempted by an extended stay on better terms but that remains to be seen. And what of Scott Brown? Is our club captain going to stay on another year or two or move on to a player-coach role somewhere else? Only Broony and the club know that and there’s been little mention of it. I’m sure we would all love him to stay though equally he has the right to make the move he wants after devoting most of his career to Celtic. By the time next season comes, he will be 34 years old. There is much for him to think about in terms of his fitness, future career options and of course ten-in-a-row. Mikael Lustig has been a huge contributor to Celtic since he joined nearly seven years ago. With over 250 games to his name over 70 caps for his country, will he be in Brendan’s plans beyond this season? Next month the Swede turns 32 so is a little bit younger than his captain. I don’t undervalue his contribution even though he is prone to having nightmare performances. He is vice-captain and with the amount of games he is sustaining injury free, I can see him being offered another year or two at the club. The player himself said he expects to be here next year. It is clear thait Lustig loves life at Celtic and is influential within the dressing room. That alone can be of great value to a growing team. What it doesn’t resolve is our long-term right back issue. Nor has the presence of Cristian Gamboa who is also out of contract in the summer. The Costa Rican full back has played less than 30 games for the club in the space of nearly two-and-a-half seasons. He’s made some high-profile appearances in the Hoops only to disappear once more. Just when you think you might see what he has got, he fades into the shadows again. On that basis alone, I can’t see him getting a new deal and would much rather Celtic sourced a long-term candidate for Lustig to oversee. Emilio Izaguirre returned in the summer as backup to Kieran Tierney. He has played three matches in total and the perfect candidate to step in if required. Is it possible he could stay on beyond this season as backup? Well he’ll be 34 going into a new campaign and for another year, I don’t see why not. That only leaves Dorus de Vries who will end his contract having not played since March 2018. After that game he picked up an injury and allowed new Bhoy Scott Bain to move into second spot. So the writing is on the wall for the goalkeeper who turns 38 next month and to be fair, Celtic don’t need three senior goalkeepers. We have sufficient cover for the time being without need of his services. Celtic may also begin to think about moving on players who are still under contract to make way for new blood. January could be an opportunity for out of the picture players like Scott Allan, Marvin Compper, Dorus de Vries and Kundai Benyu to go on loan or move permanently as they don’t appear to have a part to play. The team will need strengthening as we increase our bid for another treble and prepare for the season that follows. Time to make some more room.